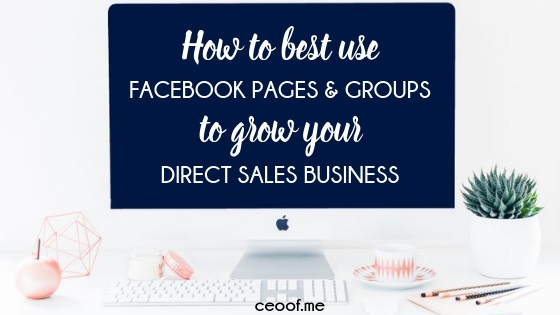 Are you wondering what the best ways to work your direct sales or network marketing business are on Facebook? Do you feel confused about the difference between a Facebook page and a Facebook VIP group and what you should be posting on your page and in the VIP group? Let’s dig into this topic and help you learn the difference and what to do to create a better content plan, build a better audience & get better results for your Facebook page and VIP Facebook group. Watch the video below or read the transcript underneath. Leave a comment to let me know what questions you have and be sure to check out my other training and tools to help you work smarter, not harder and get better results for your business here. A Facebook page is a public page, think of it sort of like a webpage, anybody can find your page on Facebook once it is published. Since it’s public, it can even come up on a search engine if someone is searching for something relevant to your content. If someone is searching on Facebook, or if someone shares a post from your business page, then, what’s going to happen is other people will be able to see it, comment, like and engage on it, etc. Your Facebook page is different from your Facebook profile. Your personal profile is where you join as your own name, and you’re able to post your own updates and your own pictures and your own videos. That’s just you personally. Per Facebook’s rules, you shouldn’t be running or promoting a business on a personal profile. You can share from your page to your personal profile though. You can certainly have your business name in your “About” and your website listed. And you can post some things to do about your business on your page, it just needs to not be primarily of an advertising avenue for you on your personal profile. What you want to do is you’ll have your personal profile, and then you’re going to have your business page. That page is what’s going to be public, and where you’re going to be able to promote your business on. Remember that 80/20 or 90/10 rule, where you want to make sure 80% of your content is valuable, helpful, beneficial information. That information should be related to your solution and the benefits that your product offers. It needs to be authentic content where you’re sharing helpful tips, asking questions, engaging with your audience, and even motivational quotes. Depending on what type of company you’re with, you may be sharing other pages, information, or other ideas or tips or things that are related to your product that can be complimentary. For instance, if you’re with a food company, or a kitchen company, you may share recipes. Or party ideas if you’re with a jewelry or cosmetic, or clothing company, you might share fashion and make-up tutorials, and other things like that, that relate to it. If you’re with some type of health or wellness product, you might post some workout videos that you find somewhere. You might post a juice or smoothie recipe. Hopefully, you see what I mean by sharing valuable, helpful, complementary information. 80% of your content should be you engaging, asking questions, sharing quotes, the helpful, beneficial information. Then 20% or less should be you directly advertising. By direct advertisement, I mean posting a “Here’s my sales flyer” or “This is on sale” or “Buy this sale special”, or “Come join my team” or “I’m puttin’ in an order tonight, who needs anything?” That’s a direct advertisement. They’re okay, in small quantities. Think of it like sprinkling salt, you don’t want to dump a bunch of salt all over your food, because it totally ruins it. It’s the same when you’re always advertising about your business. If you’re wondering why nobody’s clicking, interacting, engaging or doing anything, it may be because you’re not giving them anything worthwhile, valuable or engaging to want to comment on if you’re just slamming the sale specials at them. I think of it like this too, if you had a brick-and-mortar boutique or store, when someone walked in the door, you’re not going to just literally start throwing your sales flyers and your items that are on sale at them. When on your Facebook, profile or page, or even your group, when you’re just throwing those sales, and buy this and buy this and buy this, that’s what it’s like, except you’re doing it in the online world. You also want to be sure that you are branding yourself, using your unique personality and all the uniqueness and the valuable information that you’re sharing. I want you to think of your page more as a way to attract customers. Think of it like a vendor or a networking event. You’re going to be posting things, you’re going to have your display up of what you offer and the benefits, and people are going to to be coming to it. What you want to do is get those people that are coming to your page into your funnel, onto your email list, into your VIP group. You’re going to want to have to have some type of opt-in or lead magnet, or funnel, or some way to encourage them to sign up for your email list, or to sign up for a free gift or valuable download or something that you offer them, or to join your VIP group. Your page is where you’re going to attract & interact with potential customers and leads first. Then you want to invite them into the VIP group on your email list so you have their contact info, you can build a better connection with them, and follow up and build that relationship. How often should you post on your Facebook Business Page & What kind of content should you post? As far as how often to post, it really depends on you and your brand. I always found posting two to three times a day worked very well. I schedule the majority of my posts in advance. Then I do come back and I comment, I reply. I try to share or post something organically at least once a day. I know some people who post five, six, seven times a day and it works for them. I know some people only post once a day or every other day. I would say test it out a little bit. Just make sure you’re following that 80/20, 90/10 rule with whatever you’re posting. You’re going to want to use things like the call to action button on your Facebook page, your header, the different menu options, to get people to sign up for your email list, your freebie, your opt-in, whatever it is you offer. Now you can even link your page to a group so it’ll show linked groups and people can see it in the menu and click to come to join the group. You’re going to want to post every couple of days, to remind people to come to join your VIP group, to join your email list, about your freebie, your opt-in, whatever you have available so that you are getting people into it and they know about it. This doesn’t need to be a direct post but when you are sharing a quote or helpful tip or asking a question remind them they can get more benefits, learn more, enjoy bonus perks by joining your VIP group. People are not just all of a sudden go to your page and be looking to sign up for something like that. So, you have to remind them about it. That’s what I think the page is great for. It’s great for building your reputation, building up your credibility, branding yourself, marketing yourself, getting your name out there, and attracting people to your brand and to what you offer. Your Facebook VIP group, your customer group, whatever you call it, you’re going to have a little bit different strategy in that. It’s going to be more personal, more relationship building, more conversational. These people are already on your list, in your group, they know you. You’re probably going to do more Facebook Lives, more games, more beneficial, in-depth videos, more personal conversations in your VIP Group. In your group, you can also have theme days, where Monday is a certain topic, and you post a question and people engage on it. Tuesday you always do a Facebook Live or something to answer questions. Wednesday might be another theme that maybe has to do with a solution that your product offers. And then Thursday might be part of your game day, where you play a game, or you do a demonstration and have mystery Host drawing or something. You could do that on Friday. But, things like that. Saturday maybe, “What’d you do this weekend” on the weekend. In the group, you’re going to be focused on creating conversations. You’re engaging more and being more personal. You’re being more authentic and you’re building a deeper relationship in your group than what you are on the page. There are so many other things that you could do in a VIP group, too. Those are just a few examples. How often should you post in your Facebook VIP Group? As far as how often you should post in your VIP groups, it really depends. Again, you’ve got to figure out what works for you. There’s some groups, they post 10 times a day because the groups are really huge and active. Then there’s some, they just have one daily discussion topic that people can comment on and they do a Facebook Live once a week. You have to do what feels comfortable with you, what your audience responds to. I would say start small with a couple of posts and a day that maybe theme or topic days, doing some Facebook Lives and a game or a party week, and see how that goes. If the group is growing and getting a lot more active, then you can add more posts. You can do more things as the group grows and continues to engage. I hope that that helps explain to you a little bit about the difference between your personal profile, your Facebook business page, and your VIP or customer group, and the different strategies for each one. Leave a comment below and let me know what you learned from this video, what other questions you have. What are the cool things that you’re doing on Facebook that’s helping you grow your business and build relationships and engage with your customer base? 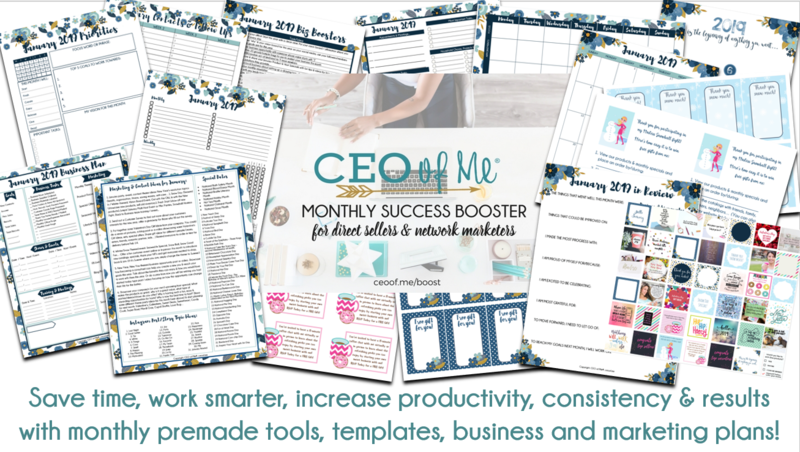 As always, if you’re looking for more training, and tools and resources to help you grow a more successful business and create your own CEO of Me lifestyle, be sure to visit my website at CEOof.me. 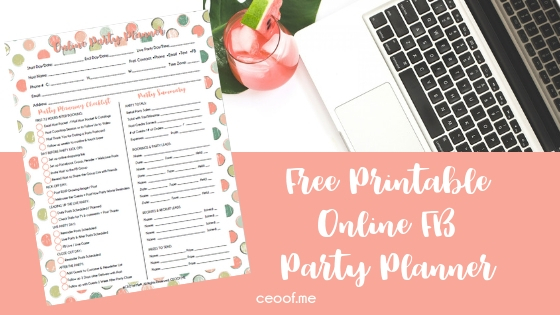 PS, if you also need help with your Facebook & Online Parties, Check out my tips & download a FREE printable here!